Demi Lovato has come a long way since her Disney Channel days and this fall she also has a new candid documentary on YouTube exploring her life and career so far, Simply Complicated. 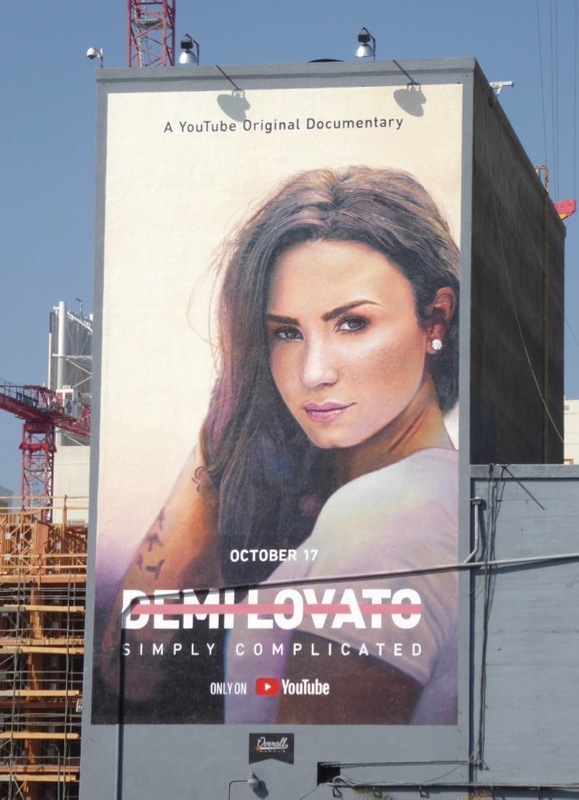 Released on October 17, 2017, the feature-length documentary not only goes behind-the-scenes of her sixth studio album, but will also provide an intimate exploration of the pop star's life, her break-up with long-term partner Wilmer Valderrama, her sexuality, her battles with substance abuse and eating disorders. 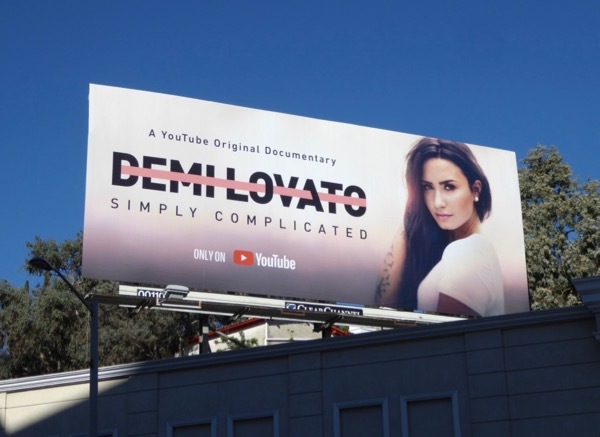 One of the best things about this new triumphs and tears documentary for fans is that it's free to watch on YouTube (and not its premium channel YouTube Red), plus as a marketing tool it's a great way to generate interest in a new album and tour. 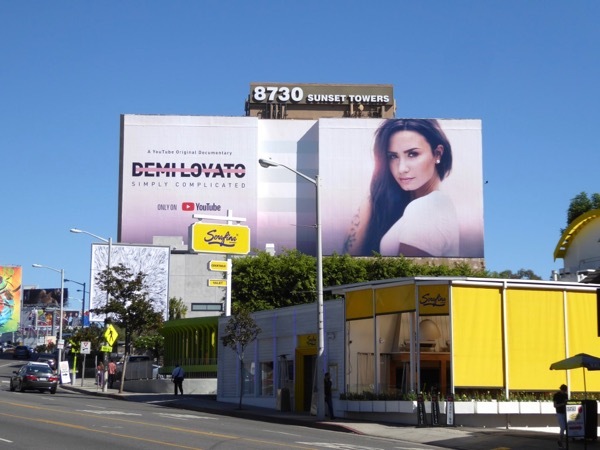 These billboards of all shapes and sizes were photographed along West Hollywood's Sunset Strip and Hollywood's Gower Street from October 13 to October 22, 2017. 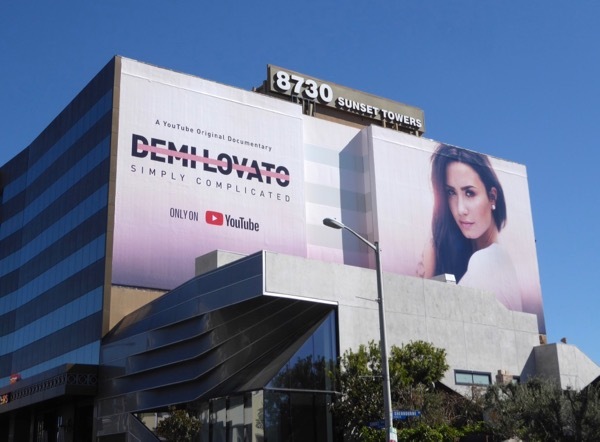 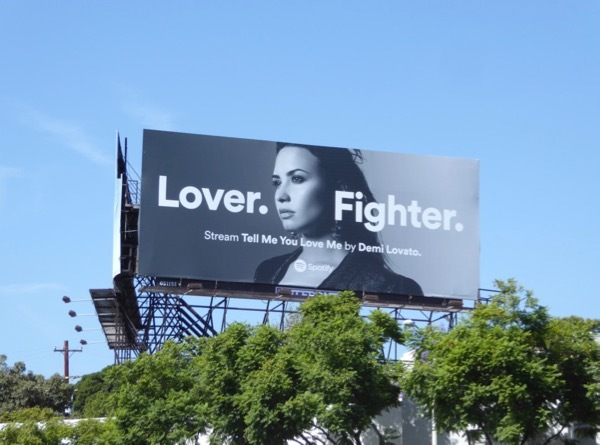 Here's also a bonus billboard from streaming service Spotify for the release of her new album, Tell Me You Love Me, snapped along Santa Monica Boulevard on October 10, 2017. 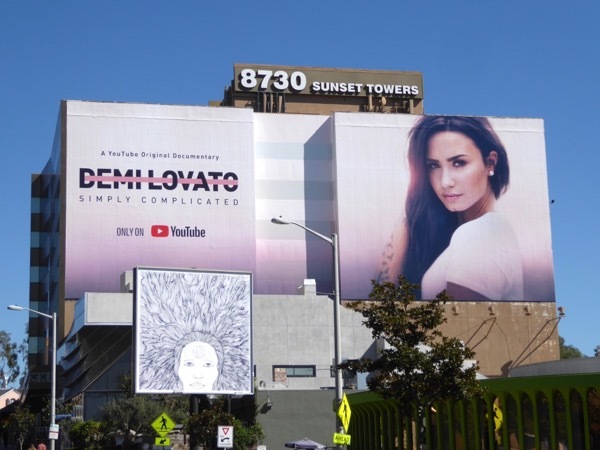 Music fans can also check out these other outdoor ads for documentaries about iconic musicians, recording artists and legendary producers, including these billboards for The Defiant Ones, these Gaga: Five Foot Two billboards, these What Happened, Miss Simone? 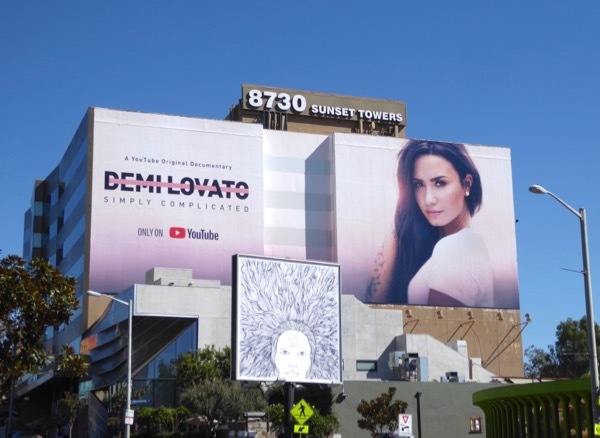 billboards and these Sinatra: All or Nothing At All billboards. 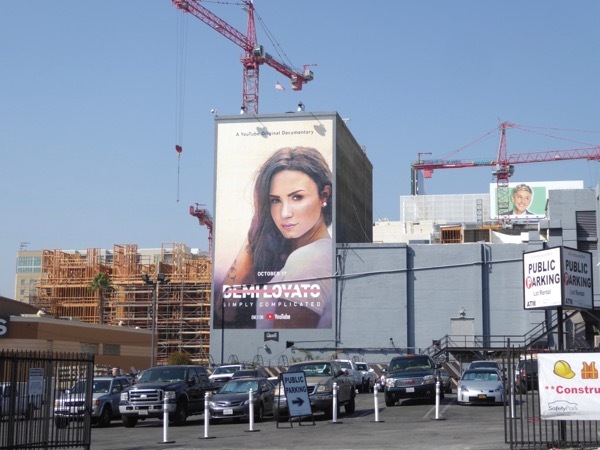 Plus for a blast from the past be also sure to check out this 2012 billboard for The X Factor on which Demi was a judge for two seasons. 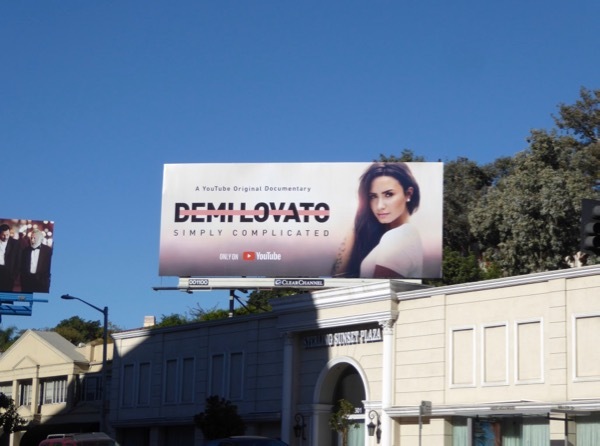 Daily Billboard is pretty confident that this documentary is cool for the autumn as well as the summer, so if you're a fan be sure to tell her you love her by watching.